Video watching time is approximately 95 minutes. Click below to watch the video. Jonathan M. Philpott earned his M.D. degree in 1994 at the Eastern Virginia Medical School in Norfolk, Virginia, completed his general surgery internship and residency at the East Carolina University School of Medicine in Greenville, North Carolina, continued his surgical training with a two year fellowship in Trauma Surgery and Critical Care at the University of Pennsylvania in Philadelphia, and then did a two year Fellowship in Cardiothoracic Surgery at the Medical College of Virginia in Richmond, Virginia. Dr. Philpott is the Director of Surgical Electrophysiology at the Sentara Heart Arrhythmia Center. Dr. Philpott is a nationally recognized expert for surgical procedures for Atrial Fibrillation, and the Cox Maze IV procedure. He has been heavily involved with the training and certification of surgeons nationally who are learning how to perform the Cox Maze IV procedure. He has also been integral in the development of and refinement of minimally invasive hybrid operations for atrial fibrillation and ventricular tachycardia, and has helped lead Sentara to become one of the national leaders in surgical electrophysiology. Dr. Philpott is a Diplomat of The American Board of Thoracic Surgery, and a Fellow of the American College of Surgeons. He is a member of the International Society for Heart and Lung Transplantation, and the Heart Rhythm Society. Ralph J. Damiano Jr., MD, is the Evarts A. Graham Professor of Surgery and chief of the Division of Cardiothoracic Surgery at Washington University School of Medicine and Barnes-Jewish Hospital in St. Louis and vice-chairman of the Department of Surgery. Damiano received his medical degree from Duke University. He went on to complete both his general surgery and cardiothoracic surgery training at Duke University Medical Center. Damiano has been a pioneer in the area of minimally invasive cardiac surgery. His developmental work on robotically assisted microsurgery for coronary artery bypass grafting (CABG) earned him a Computer World Smithsonian Award in June of 1997. Damiano also has been active in the surgical treatment of arrhythmias. His team at Washington University is world-renowned for its clinical and basic research on the surgical treatment of atrial fibrillation. His group has been continuously funded by the NIH for over 30 years in this area and they have developed the gold-standard surgical procedure, the Maze operation, which has been adopted around the world. Recently, his group has developed a less-invasive procedure for atrial fibrillation that is more widely applicable to patients with this arrhythmia. Dr. James Edgerton is board certified in both General and Cardiothoracic Surgery, and has more than 30 years of experience as a cardiothoracic surgeon. He attained both his undergraduate and medical degrees from the University of Illinois and then did a 6 year general surgery residency at the University of Florida. He then completed a residency in cardiothoracic surgery at the Medical University of South Carolina. He is currently the Co-Director of the Arrhythmia Clinic and Director of Education and Training at The Heart Hospital Baylor Plano. Surgeons (AATS), the Society of Thoracic Surgeons (STS), The American College of Cardiology (ACC), the European Association of Cardiothoracic Surgeons (EACTS), the American Association of Chest Physicians (ACCP), and the American College of Surgeons (ACS). He is the first surgeon voted into Fellowship (FHRS) status in the Heart Rhythm Society (HRS). Due to an unfortunate injury, he was left with a progressive denervation neuropathy in his left hand. To his great sadness, he withdrew from his operative practice. He continues to impact the field through research and education activities. Dr. Philpott: So this is going to be our surgery panel and Dr. Damiano and I are going to talk about the role of surgery and then we'd like to have a good discussion session. I really encourage you to come to the mikes at the end or if we don't have enough time, come and find us and get us one-on-one and we will give you the best answers that we can. It is my great pleasure to start off with Dr. Damiano and frankly this man does not really need an introduction. He's been a huge thought leader. He basically has created the Cox Maze IV, he's the head of CT surgery at Wash. U and that institution itself has been a dramatic leader over the last 20 years in cardiac surgery. He's also the vice-chair of surgery, I believe. So without further ado, I give you pretty much the tip of the spear for surgical intervention for afib, Dr. Damiano. Dr. Damiano: Thanks, Jonathan, and thank you, Mellanie, for inviting me to this really wonderful conference and thanks to all of you for attending, you've been a great audience. In fact, your questions have been excellent and better than many medical meetings I have been to recently. So you all should be congratulated and really as the cardiologists have said in their panel, the reason we're here is for the joy and satisfaction we get in taking care of patients. So it's really wonderful to be able to address you. We're going to have to get my slides up because this is Jonathan's talk. But I would like to actually give you just a wee bit of history of surgery for arrhythmia. As we're waiting to get my slides up, you have to realize first of all many people, and you should know...and you're probably a diverse group of people with atrial fibrillation and most people with atrial fibrillation are treated medically...but as you also know, the symptoms can be severe and can be a major impediment to quality of life. [00:02:00] Interventional treatment for atrial fibrillation certainly has become dramatically more common over the last decades. But what you may not know is that interventional treatment for arrhythmias really started as surgery. Some people think, well, how would you...surgery for atrial fibrillation? That seems pretty extreme. We are at the very bottom or at the very end of the treatment line, I could say. We're not at the bottom, you could say we're at the top of the treatment line, but really the interventional treatment of almost all arrhythmia starting back in 1968 which is a heck of a long time ago. Wolff-Parkinson-White was treated first at Duke University, which is where I trained, by Will Sealy and then that led to the effective catheter treatment of that arrhythmia which now, while I've done one case in the last five years, WPW really is now a catheter-based procedure. The treatment of atrial fibrillation, interventional treatment started exactly that way. [00:03:00] And I'll just show you a very little bit of the history, but I think it's very interesting because it did show for the first time that you could treat atrial fibrillation with a procedure and that flew in the face of conventional wisdom. You can see how far we've come but really back in the early days, in the early '80s, this was quite a controversial area. So I've entitled my talk a little provocatively, "Why are most patients not receiving treatment," because I was actually going to be talking about the fact that, and I'll show you some data, a great many patients are coming for cardiac surgery who have atrial fibrillation and even today, most of them aren't treated, which I think is a shame. Patients with valve disease, in fact with mitral valve disease, a third of patients referred for surgery have atrial fibrillation, but still the majority go untreated, which I think really misses a fantastic opportunity. [00:04:00] But let's look at afib and I know that you've already talked earlier about the fact that the incidence of afib shown in this graph is really higher in the U.S. than any other country in the world, which is interesting and there are a lot of reasons for that. But I think it's a very important topic. It is the most common arrhythmia and particularly common in the U.S. In terms of ablation for atrial fibrillation, really both surgery, and in many respects catheter ablation, was first developed in the United States. Today there's more surgery for atrial fibrillation procedures performed in the U.S. than anywhere else in the world. In fact, probably more than almost all the rest of the world put together. So we played a big role and I'm fortunate...and maybe you could say I'm just old enough to have lived through much of this so I guess I'm fortunate to still be around to talk about it, so that's right...but really afib surgery started 28 years ago, well preceded catheter ablation like I was saying. [00:05:00] It started at our hospital in St. Louis and the gentleman shown in the box is Jim Cox. And he really, along with a basic scientist, Rick Schuessler, who still runs our lab, I'll show you a picture of him and John Boineau, who was a cardiologist, came up with the idea that since we were already then treating other arrhythmias, atrial fibrillation probably also could be treated with a procedure. He came up with a procedure that turned out to be fairly remarkably successful and this is a cartoon of the first maze procedure. You can see it's a pretty dramatic procedure with lots of incisions on both the left and right atrium and the idea was that it would prevent these rotors...it's funny how Dr. Narayan is coming back to rotors...but at that time, we did feel that afib was caused by rotors rotating around anatomic obstacles. [00:06:00] These incisions, while they look chaotic, were meant to prevent that. It turned out fortuitously that we also isolated the entire posterior left atrium, which you found out from Dr. Natale that now with the catheter- based side, that's also shown to be very, very effective. But this procedure was effective and this is sort of the beginning of my journey in 1982. I was Dr. Cox's first research fellow. For those of you who can't recognize me, there I am, which is pretty sad. Unfortunately, I haven't stood the test of time very well, but this was a group of...we were a group of young surgeons. Dr. Cox was brand new on the faculty. I was actually a medical student when I started with him. We came up really trying to investigate the arrhythmias and it's interesting. It's been a long journey for me and this actually so you can see how...actually we'll go back. [00:07:00] This is how bad the years...there is myself and Dr. Cox just earlier this year at a meeting and Dr. Schuessler is on your far left, who deserves a lot of credit. He's one of the unsung heroes and has done a lot of mapping that has really led to some of the advances in catheter ablation also. When you look at surgery for atrial fibrillation, it's really people have been talking about, you know, how do you come up with these ideas? How do you innovate? How do you develop new procedures that can help people in areas that were once felt to be impossible? Or as many of you know even today, afib, often most people have a fairly nihilistic approach to it, that you should just rate-control people and give them anticoagulation and just live with it. Well, it's interesting how you try to change paradigms and the surgical treatment of atrial fibrillation is a fantastic example of how that really can happen and how it can be done responsibly. [00:08:00] And first what usually triggers an advance is someone gets an idea of perhaps a better understanding of the underlying mechanism. Then and what was done in this case...and you could see when I was working with Dr. Cox, first I was a research fellow and we were working in animal labs trying to test, "Okay we have this idea that maybe it's working by this mechanism and we could maybe stop it if we do this," and those ideas are called hypotheses. Then you test them in a very carefully controlled situation and then only after that, and now we do a lot of computer modeling, after that, bring to the operating room. But then even when you first bring it to the operating room, which they did 28 years ago, I'll hope to show you today that we've never stopped trying to innovate and to try to continuously improve that operation. That's what happens in many branches of medicine but this is a fantastic example, one of the best examples I think, of how that happened. [00:09:00] It's interesting, back in the early '80s, the improved understanding of the mechanism was that afib was due to these multiple re-entrant circuits. Since we now know that probably, it may be true in very few people, but probably isn't true. So often the improved understanding of the mechanism may not actually be correct. But it did lead us into the fact that we thought we could cure this arrhythmia. What we did was both map atrial fibrillation, both in humans and in animals. You can see we built this form-fitting plaques that we put on people who were coming for surgery for other reasons who had atrial fibrillation. We learned a lot and we developed the maps likes this and you saw maps, but it basically kind of gave you an idea of where the atrial fibrillation was coming. And similar to what you heard earlier, as opposed to it being extremely chaotic, there was some organization and some hope that we could maybe do something surgically for that. [00:10:00] The problem really was that, and we still would tell you that we believe that today, is in most patients and most of you, if you have atrial fibrillation, the mechanism keeps changing. Early in your afib, it is often a very stable mechanism, but we find that most patients with persistent afib or particularly long-standing persistent atrial fibrillation, that mechanism changes over time. Even in the shortest time, we mapped people for 10 minutes and in 10 minutes, over half the people, the mechanism changed. Some people, it went from one atrium to the other. It was dramatic changes. So that led us to say we can't... and we're coming back I think almost 30 years later to maybe we can tailor operations to the individual patient because we have much better understanding now. But in those days, we decided we just had to come up with one operation, I showed you that cartoon. This would take care of afib, almost no matter what the mechanism. [00:11:00] It would prevent all types of our understanding of the mechanisms that way by creating a set of scars on both the left and right atrium. We tested it in three different animal models in the early 1980s and it was uniformly effective in curing atrial fibrillation in animals. Unfortunately, there's not a big practice to that, and the animals weren't necessarily that happy with us with that. But it turns out that was proved also in our human experience, which I'll show you. But we also showed some important things, that you could do this operation and not affect the function of the atrium, that it still pumped adequately and you didn't cause a big infarction or heart attack of the atrium. And we did the first procedure back in 1987 and it's turned out to be very successful. It was the first time anyone had intervened on atrial fibrillation so you have to understand that it was quite a radical development. [00:12:00] The success of the maze procedure set the stage for the development of catheter ablation. As in the case of many arrhythmias, the surgical treatment came first and then it became a catheter-based procedure. While the original cut and sew that I showed you in that cartoon is almost never performed today because it's very complex, it was very hard to do, it was remarkably efficacious. And we reviewed the series, this is way back in 2003, I reviewed all those series, many of which were done by Dr. Cox and a few by myself and Dr. Sundt, who is now at Mass General, but we looked at how those patients did. And we followed them out at six years and in patients with lone afib, 80% said six years out they were free of atrial fibrillation and off medication, which is pretty amazing. The average duration of atrial fibrillation in these patients was over seven years. So they weren't a simple group of patients. Obviously at that time, it was a big operation, so they were really people who'd had a long history of afib and were quite desperate to have a cure. [00:13:00] So where are we now 30 years later? The good news is that there really has been an exponential increase in surgery for atrial fibrillation and I'll explain to you why that's been. I would say up until about 2002, probably just a few hundred maze procedures, and that's what we called that original operation, maze procedures were done. When you look now three decades later, that's gone between 8,000 and 10,000 cases a year, which is pretty dramatic. Still a very small component of the total population of people with atrial fibrillation, but that's been great. And this is the data from our big national database and before 2004, the numbers were almost too small to measure. [00:14:00] You can see it went up to about, of patients coming to surgery who had atrial fibrillation, about 35% to 40% were getting an ablation procedure, which is a dramatic change from less than 1% before 2000. I've been charged with talking about people with afib who are coming for other types of cardiac surgery. And still today about 95% in the recent data...this was from 2008, but it holds true today...about 95% of people who come for surgical ablation are coming for other types of cardiac surgery, most commonly valve surgery, but also coronary bypass grafting. So why did it increase so dramatically? Well, there's two reasons. One, we borrowed...after showing the cardiologists they probably could treat this with catheters also, then we borrowed some of their ablation devices to try to replace the surgical incisions and decrease the invasiveness of the maze procedure. You hear it called maze. [00:15:00] It's been really termed the Cox Maze, named after Jim Cox who developed it. We've also developed really less-invasive surgical approaches. Jonathan's going to talk about hybrid approaches and those; I'm going to really focus on sort of the history of where the maze procedure's gone and end with just a few things I think as patients you need to know about surgery. It's interesting. There's been a lot of technologies used by surgeons to treat atrial fibrillation, to try to simplify the procedure and the list of them are here. We've been funded by the NIH to look at these and I can tell you, I am proud of the fact that I've gotten many of these taken off the market because they don't work. We're left now with unipolar and bipolar radiofrequency and cryoablation as the two energy sources that are used and actually have been shown, particularly bipolar, the ones on your left have been shown to be very effective in the animal laboratory. We've checked these out and really defined how they work before bringing them in into the operating room. [00:16:00] I think that's really been important to try to safely...to be able to evolve the procedure in a safe fashion. This is the lesion sets now and this is, if you were going to have other surgery and you can see...and I don't really have a pointer, it's the weakest pointer ever...but we make a small little incision. We've actually in the recent iterations have even stopped making that. But in white are these ablation lines so it's a very small incision, or no incision now, and with these ablation devices we can create the scars of the maze procedure much more quickly and easily than with surgical incisions. [00:17:00] This is a left atrium and I think it's important that basically in a maze, you isolate the whole back of the left atrium and as Dr. Natale pointed out in his talk, we've shown that if you don't do that...which I really had a bright idea early in my career that maybe I didn't need to do that...but it was fortunate because we really showed that that really is a big problem, that it's not just the pulmonary veins. It's the whole back of the left atrium that's really important. Particularly in patients, most of the patients that have come to us have had really long-standing atrial fibrillation, but it's really quick in the procedure. We published our results and I'll just show you, well, what's the difference between doing a cut-and-sew and ablation? And maybe as a non-cardiac surgeon you would say, "Well, that doesn't seem like it's that big a deal," but it turned out to be quite a big deal because we had an operation that really was successful, but no one would do it. So that's not a very good operation. You have to have something that people are willing to do. It can't be so difficult. And we looked at over 200 consecutive patients we did with just lone atrial fibrillation and how they did. [00:18:00] And we compared the maze III, which is the cut-and-sew procedure to the maze IV with ablation devices, but the most important thing is to see the time it took really went down, from 90 minutes down to 39 minutes and the major complication rate significantly dropped because the operations were easier, patients did well and we didn't have really the complications that we saw when we were doing the more complicated maze III or cut-and-sew. Then most importantly the success of the procedure was identical because we had to look at that. So you can see we looked at about over 100 and 112 patients in the two groups so pretty comfortable and that data has continued to hold up. But then we went and said, "Okay well, we can replace the ablation devices. Can we then do it in a minimally invasive fashion?" And we now do it through about a two to two-and-a-half inch incision, which is shown in that dotted line and just a small incision in women under the right breast or in men, really under the armpit. [00:19:00] You can go in and we don't use any type of spreading. We just use this thing that looks like a giant rubber band, which really cuts down on the pain. You can see, you can have a very small...this is a patient who had a mitral valve repair and a maze procedure...you can see it's very nice and really in two weeks, people go back to full activity. Now does that make a difference? It's cosmetically certainly a lot better than having your whole breastbone divided, but does it really make a difference? We just recently published at the end of last year, our results in over 350 patients where we compared cutting the breastbone, which is called a medium sternotomy, to that minimally invasive procedure and we'll just show you the results. But basically these are the freedom from all types of atrial arrhythmias at one and two years. You can see really identical at 90, in the mini-thoracotomy which is shown in red, over 90% free of atrial fibrillation at one year. [00:20:00] And still 83% at two years. This has held up and I think it's a good success rate and shows you can do it minimally invasive with the same success as through a sternotomy and that's really our approach of choice right now. We also showed in this study that the complication rate continued to go down and also mortality rate seemed to be less. We've now done close to 200 of these with really, it really has a very low morbidity and mortality. This way you can do a full maze and you have to remember, this is a complicated group of patients and still our average duration of atrial fibrillation is close to seven years. [00:21:00] And of the people with lone afib right now, over half the patients have failed multiple catheter ablations. So we're not dealing with easy patients. We're dealing with the patients that the cardiologists tend to get poor results. You can see this is, while an extensive operation, remains the most single successful intervention for afib really in the world and as a single intervention, remains quite a bit more successful than a catheter-based approach. The bad news that I would say, or the disappointing news to myself despite all those advances with ablation devices and developing less-invasive approaches, the number of people getting surgical afib ablation in the United States has really stayed stable since 2006. The majority of patients who come for surgery for other reasons are still not treated by their surgeons. And this is some data that Niv Ad published a couple of years ago and in red is the percent of patients with afib who get surgical ablation. [00:22:00] And you can see while it went up as I showed you from 2005 to 2006, it's basically gone down, though the overall number continues to increase. But there's more patients with afib going along with the increasing incidence in the United States. This I think is disappointing, but I think if you have a friend who needs cardiac surgery, it's the perfect time to have your afib taken care of. And it's a shame that right now, only 39% of patients with afib who are already coming for heart surgery so they're going to be in the operating room anyway, only 39% are treated. So that's something we have to do better as surgeons and as patients, you have to really demand the surgeon to do that for you and this is just another way to look at it. About 60% of patients with mitral valve surgery are not treated and if you come for just bypass surgery, about 93% of patients are not treated, they don't receive ablations. That's something we really have to do better about. [00:23:00] The even worse news, at least in my opinion, is the majority of patients who get treated aren't treated with the maze procedure, which is the only procedure we really have long-term data on. And this is from the European Registry of Atrial Fibrillation Surgery, only 16% of patients who were undergoing ablation had a maze procedure. The other way to look at it, 84% of patients had other operations which even to this day, there is very little late data on how well they work. So again it's something that you need to be informed of as patients. Why aren't patients treated? I give this talk to surgeons to try to get them to treat it. I think you guys would all say, "Why aren't they?" The first thing, does it even matter if you afib? And I think the reason you're all here is you obviously believe that, but I won't belabor with a lot of data here but...so if you're coming for mitral valve surgery and you have afib, this is looking at survival of people following mitral valve surgery who have afib or do not have afib. [00:24:00] You can see your survival is much worse, the lower line, and pretty dramatically worse, almost 20% higher death rate at 10 years if you have afib as opposed to not having afib. That's been shown also, not quite as dramatic after coronary bypass surgery, after aortic valve surgery. It is a marker and can lead to really late morbidity and mortality often due to stroke, like we were talking about. So to miss that opportunity is really a shame for the patients. The other thing you could say is, "Well, maybe surgery isn't that effective." I showed you the early results and our results, but maybe other results aren't very good and that's just in St. Louis. But really these are a list of seven randomized studies of looking at people coming for mitral valve surgery who've either had ablation or the control group just had mitral valve surgery. [00:25:00] And then looked at late freedom from atrial fibrillation and absolutely every randomized study showed a significantly better freedom from afib with surgical ablation than without. And there's now been two more randomized studies. So this is one of the most studied areas of surgery. So there's very convincing evidence it works and for those of you, this article got a lot of press, just recently came out in the New England Journal. Randomized multicenter trial looking at surgical ablation of atrial fibrillation in patients coming for mitral valve surgery and it showed, this is the freedom from atrial fibrillation at a year basically in patients with ablation. Not as good as we were hoping with 63%, and I think part of the reason is they didn't really have a maze procedure, many of the patients. And 29% of them just had surgery alone. So you can see ablation does make a difference and does work in every randomized trial on getting more people out of afib. [00:26:00] We've looked at our results with, if you do the maze IV and this is in mitral patients in over 100 patients, and you can see the success rate is about 84% and it should be over 80% at a year if you do the procedure correctly. So I think you can get very good results. And again it's a great opportunity to take care of it. ln almost every sub-group, it's been shown that the maze procedure's been effective because the afib might be different. And in coronary disease, we published our data and we now we have over 100 patients, but this is the original report way back in 2003 but we looked at 47 patients and all patients were free of symptomatic afib at 10 years. So that's pretty darn good. Does surgical ablation, why don't surgeons do it? Does it add to morbidity? [00:27:00] And the answer to that, it really doesn't and this is a huge database trial which I was showing of thousands and thousands of patients and adding ablation didn't add to your risk of dying or having a major complication. Despite almost three decades of experience and a ton of publications, the development of less-invasive approaches, surgical ablation's not performed still in the majority of patients who are already coming to cardiac surgery and we need to do better. That is something that Jonathan and I are really dedicated to making that happen, but there's strong evidence supporting the efficacy of surgical ablation and its safety in these patients. And I would just say as a patient, if you're coming for surgery and even if...we've been talking about lone atrial fibrillation, which we'll switch gears to...you should really make sure your surgeon knows how to do afib ablation because it's really the best chance for a cure. After being in this field for a long time, I will tell you the best chance of curing afib is if you happen to have another procedure, particularly your mitral valve worked on, you can have the surgeon, he's going to be in the left atrium, he's going to be able to see everything. [00:28:00] You can beautifully isolate the posterior left atrium and it's really a shame not to be able to have that opportunity. I'd like to end just with a couple of reflections of...because I thought about when Mellanie asked me, "What should patients ask about?" and questions to ask your surgeon. So if either you're being referred for just afib or you have another cardiac problem and have afib...and again particularly mitral valve disease worldwide is the most common cause of atrial fibrillation by far. And in Asia, because of the high incidence of rheumatic valve disease, many, many patients with afib are coming to surgery. So you'd ask your surgeon first of all, "How do you learn how to do surgical ablation?" [00:29:00] Many of them did not learn in their training so you should ask them how you do it. I think it's a good question and ask them, "How long have you been doing the procedures," because I think you need to know...again if your surgeon's not going to do it or is he going to do something that's not quite a complete procedure, you may want to look for another surgeon. The other question is, there's a lot of different surgical procedures for afib. I've shown you the maze, which we developed in St. Louis but there's others that have been introduced. But what do you do and why? Not everything is a maze but you'll see, it's very confusing on the Internet. Most of the surgeons will call whatever they do a something-maze, mini-maze or there's a robotic maze, but often it's not a maze. The maze is a specific lesion set that forms scars on both the atrium and isolates the whole posterior left atrium. If you perform an incomplete maze procedure, it really works poorly. [00:30:00] We found that eliminating not isolating the back left atrium as you saw really, we've just looked now at five year data and it only worked about thirty percent of the time if you didn't isolate the back of the left atrium, so that's really bad. So you really have to do it well. The other question I would ask your surgeon, which was brought up by the electrophysiologist, but I think it's important for surgery is, ask them how they follow patients after afib ablation. If he or she says, "For one month," then I would definitely find another surgeon, because that is really not appropriate. Similar to it wouldn't be appropriate after catheter ablation. You should remember that success by all the consensus statements of any ablation procedures is defined as freedom from afib and antiarrhythmic drugs at one year. Then you should ask him and you need to know yourself, what exactly is the surgeon doing? And there's a lot of different procedures, but they are not all the same. So surgical pulmonary vein isolation has been called a mini-maze but it's certainly not a maze procedure and it's not even a mini-maze procedure. [00:31:00] It's just pulmonary vein isolation, which is similar to what the electrophysiologist told you. And you also heard that if you have long-standing persistent afib or any type of long-standing afib that pulmonary vein isolation alone doesn't work well. At least, it's been our experience that surgical pulmonary vein isolation works about as well as catheter ablation. Now you may be a good candidate for that and certainly people have been and particularly if you're not candidates for catheter ablation. There are some advantages to the surgical devices, which we could go in in the discussion but it's not a maze and it shouldn't be called one. Some people call it a Wolf procedure but that's surgical pulmonary vein isolation. That's how you should look at it. We sort of popularize calling isolating the whole back of the left atrium a box or a box lesion. Some people do that and you can do that also in a very minimally invasive way and that is probably more effective than just pulmonary vein isolation. [00:32:00] And that's something you should be cognizant of. The other thing which is important, if you have atrial flutter, neither of those operations will work at all. So it's important to know what arrhythmia you're going to see your surgeon or what you have. A left atrial lesion set is the more extensive, which usually involves a line of block to the mitral valve and then the maze is the bi-atrial that I showed you in these cartoons, but not everything is a maze procedure. Remember the only real long-term data available are for the maze procedure. That's not to say this other procedures don't have roles. They do. But you need to know what you're getting and you need to make sure you understand that when you're having it. This again is a cartoon of what the lesion set of the maze four looks like. Then what do you need to know as a patient? One thing I would do is, if you're going to surgeon and you're not sure he knows how to do it, often just look for his peer-reviewed publications and even as patients, you can search those on Google Scholar or Medline. [00:33:00] I would pay more attention to that, which means that they've been reviewed by other doctors and we felt them to be credible and not so much attention to paid advertisements. And generally people who are taking billboards out, there's usually a reason for that. And usually not a reason why you would want to go to someone who does that. Personal websites, some of the Internet stuff is really bad in this area and I'd just be wary as a consumer. Be careful of people touting minimally invasive but if they're not following the patients, they may also be minimally effective procedures, which is not so great. So with that, I'll stop and will be happy to answer any questions. Thank you. Dr. Philpott: As a prefer, kind of a starter for my talk and I've been given the charge of hybrid ablation and really what I see is the future of the care for atrial fibrillation, at least from what we've learned from the hybrid experience, which is this Heart Team Model. I certainly hope it is. [00:34:00] But kind of as a primer, I wanted to let you know where I was from. This is Norfolk, Virginia and I'm not a hospital employee yet but probably will be in the future and the hospital that I work in is Sentara, the Heart Hospital. Sentara is a large network of hospitals across Virginia and also in North Carolina. What you see here is the main complex which is in Norfolk and this is the Norfolk General Facility which is about a 500 tertiary care facility. Right there at the front is the Heart Hospital. The Heart Hospital is about 109 specialized heart hospital where we basically are trying to be a quaternary care center and take care of anything that's even remotely complex in the field of heart surgery. And we're very busy. We do right around a total of 1,900 open heart cases or cardiac surgical cases a year. About 1,300 to 1,400 of those involve the heart-lung machine and we're very busy in terms of our cardiology side as well, particularly with electrophysiology. [00:35:00] To do this, we've assembled an incredibly experienced team. We have four operating rooms, seven surgeons. We're not an academic center but we've led nationally. We had one of the past presidents of the Society of Thoracic Surgeons. Probably, the cornerstone of our team are these four electrophysiologists and they're very dedicated to looking at new and innovative ways to treat atrial fibrillation. And particularly the harder forms like persistent and long-standing persistent atrial fibrillation. If there was a star of the team, it's this little lady right here, is Lynette and she has been the cornerstone in all of our trials. She's the one that's allowed us to be a leader in our trials nationally and we've done a good job with that. We were the lead enroller in the ABLATE Trial. We were the second lead enroller in the post-approval ABLATE Study and we've been the lead enroller in both of the hybrid evolutions [DEEP] which have come along. [00:36:00] I want to tell you a little bit about the hybrid procedure and how it came to be. As Dr. Damiano has already discussed, the maze procedure works beautifully. But its one flaw...well, it actually it has two. One of them is that it's hard to teach surgeons to do it, which I don't completely understand because if you spend enough time with them, it is absolutely something you can teach. The second one though is that people were just not doing it. In an attempt to come up with an approach that didn't involve opening the sternum and going on a heart-lung machine, surgeons started looking at a minimal access type of way of getting to the left atrium, in particular the pulmonary veins. You've heard how the Wolf procedure started with bilateral pulmonary vein isolations and so forth. Well, the next generation of that was this idea of a totally thorascopic lesion set. [00:37:00] I think I'm missing one slide here. But the totally thorascopic lesion set was really driven by a surgeon named John Sirak and John is an artist. I think you probably will get this analogy. If you're a professional musician and you go to hear a concert where there's multiple musicians and there's somebody that really stands out, you can probably pick him out whereas a lot of other people may not be able to. When I started travelling around trying to find a platform that was going to work for us, I actually went and saw some people operate. John was one of the ones I went to. Dr. Edgerton ironically was the other one and of course he's not here today but they both created this procedure called, in John's hands, the five-box totally thorascopic maze and with Dr. Edgerton, the Dallas lesion set, but basically they were the same thing. The idea was to do it, and all of the lines on the left side of the maze procedure, thorascopically. When I saw it, I knew that he could do it but I knew that I was never going to be able to do it. Secondly we had this idea of, wouldn't it be great if we started working together because the electrophysiologist can do amazing things that we can't do, like test lesions. [00:38:00] However, they struggle to make long, complete lines. Well, we're good at making long, complete lines but we struggle with our testing. So as we started looking around we found that, of all things, Holland was a little bit ahead of us. The reason for that is because in Holland, they have socialized medicine and the way that works is each hospital is given a certain amount of money and that's what they have to spend for the year. So in United States, if you have a catheter ablation or surgical ablation and it's a failure and you come back for another procedure, well, you get paid for both of those. In Holland, on the other hand, if the patient comes back, then that takes money out of the pool that could have been there for somebody else. They found out that, by doing a hybrid procedure together, they were saving money because the patients weren't coming back. When I started to learn how to do the maze procedure, and I thought that was a great piece of advice, Ralph, about going or finding out how it is that you learned how to do this, so I went to Wash. U to learn how to use the maze. We turned around and went to Holland to try to find out how to do the hybrid procedure. [00:39:00] This is a little cartoon that I'm going to use that shows, kind of in a rough diagram, of what we're trying to get to. These circles here, those represent the pulmonary veins. This is the left atrial appendage, up at the far left there, and this is the mitral valve. In a hybrid procedure, first the right-sided veins are isolated and then connecting lesions are drawn over to the other side. Then the surgeon switches sides and goes to the left side of the table where the left veins are isolated and then a line is drawn to the left atrial appendage. Finally a line is drawn down to the mitral valve. Now in an open surgical procedure like a Cox Maze, we're able to make that line completely down to the annulus and anchor it; but in a hybrid procedure, this is where the team comes in. So now the electrophysiologist will come in and with a catheter they could come in and complete this lesion down to the mitral valve annulus. Then the beauty of it, and I still believe this is the strength of it, is then they could come back and they could start to check our work. [00:40:00] Now in Norfolk, where you see these little ablation lines right here this is where they would all be broken on mine. And I would say that in about 30% of my cases, they would find a break. So we came back and we convinced our hospital system to change the hybrid room that they were building. They were already getting it set to do trans-aortic catheter valves that you hear about, the valves that go through the leg. And we got them to ground the room and turned it into pretty much the state of the art hybrid operating room on the East Coast in its day. We found some of these crazy nurses to give us a hand and then we started doing the procedures. Here we're starting off on the right side. Now in the control room they are able to look at all the electrophysiology monitoring, but they can also watch our camera work as we're moving along through the case. Then we switch to the left side and then once that's over, now I'm talking to my electrophysiologist and he is taking over on the case. He's now getting access and now he's up and running. [00:41:00] Now I'm going to show you some of the results because we're just in the process of reviewing the first trial. We just got access to the data. They're not confirmed yet and this is going to be sent for publication but this is the rough results as they've come through. The first evolution was the DEEP one and these were the six centers that were involved in the trial. And again, this was a trial looking at safety; how safe is it to do the procedure? And we were the first enrolling center, I think that's 2010, and the success rates were okay. Now this was a tough type of afib we're trying to tackle. This is persistent and long-standing persistent. Many of the patients had been in afib for many, many years and they had large left atriums. But I wanted better results than this and so did other investigators in the trial. I figured if we were going to this hard, we should be getting numbers closer to 90. [00:42:00] Now in time, that may have been too much to expect, but that's really kind of what we were shooting for. The green is off drugs, the blue is on drugs. But the problem with this procedure, as Dr. Natale has already spoken about, was the complication rate. If you're going to do something for afib, I really believe it's got to be incredibly safe. It's got to be effective, but it's got to be incredibly safe and the complication rate with this first trial was definitely too high. In fact, the trial was stopped because there was a death in the study at about 30 days after the procedure was performed and nobody knows why the death occurred, but in my own mind, I've got to think it had to be somehow related to the procedure. So people started thinking that maybe we should separate it. So the next evolution was, how about we separate it but we do it at the same hospitalization? And this would have shorter anesthetic times and so forth. Well, this is my observation with that. Now again, each center can only enroll 10 patients, so we were the lead enroller here and I had some concerns. [00:43:00] The biggest one was, after a couple of days after we went to surgery, the whole heart was swollen, particularly where we'd done this ablations. It was full of edema and swelling and water in the tissue and that was handicapping our electrophysiologist. Because then when they would go in and they would look at the lesions, now our lines looked like they were complete but really they were probably just stunned and swollen and after time had passed, then we would start to see the failures. So the next evolution of the trial, which has just opened up to a pivotal trial and now this is much bigger, is going to be [DEEP] Hybrid III and this is going to be separated by 90 days. So it's still a hybrid trial, but not the same time. You're going to come in, get the surgery and then 90 days is going to pass, and then you'll have the electrophysiology portion of the procedure. We feel that by doing it this way, it's going to maximize the testing quality by minimizing the edema. Now again there's going to be a bunch of sites that're going to come on board right now. Here are the sites that are currently enrolling. I'm sorry. [00:44:00] The only site that's currently enrolling is Pinnacle Health, which is up at the top. Sentara will be coming in second and the others should be coming in short order beyond that. If a hybrid operation is something you're interested in, I think that's great. I frankly would not have a hybrid operation unless it was in one of the trial centers because I believe that's where the best surgeons and electrophysiologists are. And that's probably where you're going to have the most experienced providers. So to kind of sum up what I think about hybrid, I think it's promising but it's not for the faint of heart. There's a steep learning curve here, folks. There will be conversions. What do I mean by conversions? I mean there's going to be a hole in the heart that bleeds and the team has got to be able to get the chest open and on the heart lung machine and get it repaired very, very quickly. This is going to be something that I think higher volume centers are going to be able to do because they've seen it and they have experience with it and so forth. [00:45:00] But I think if you go into a hybrid procedure, you've got to know that there's a conversion rate. In our own practice, it's about 20% and we convert with a low threshold. If something doesn't look right or we're not comfortable with it, we open. So every patient that comes to our OR for a hybrid procedure has actually consented for both a hybrid and a full Cox Maze. Now the four people that we've ended up opening are all in sinus rhythm and they all did great. But the reason is because we did not piddle around with this. They all knew exactly what our game plan was going to be and we did not hesitate. So what do I think about the hybrid compared to the classic maze? Well, the timing's different. With the classic maze, it's all at one time. The hybrid is staged. The classic maze does involve the sternotomy, but the hybrid involves about six ports on both sides. So the immediate post-op pain for the first couple of days is actually pretty similar. The one-year success rates are different though. There's no question that the classic maze I think is significantly better. [00:46:00] I am waiting to see what the hybrid long-term success rate is going to be. I hope it's as good as the classic maze but I really doubt it. I don't think there's any way it's going to be nearly as close. The biggest thing I want you to focus on here are the complications. The open maze is an incredibly safe procedure and it's fast, particularly in experienced hands. If you have a surgeon that knows what he's doing, this is not a hard operation. It's really not. It's something that takes about two and a half hours to do and it's in-out, completely done. Whereas the hybrid, it does take a long time and there is a steep learning curve and frankly I think it's harder to do. The problem with the classic maze is getting access to surgeons who are really good at it, who've perfected it, who've made it a passion. If you have access to somebody like that, I think it's a very viable option but it does involve the sternotomy. So what about unintended outcomes? Well, the first was that it put us on the map and everybody got interested. I think this was the slide that wasn't there before, but this is John Sirak. He does a beautiful job with this. [00:47:00] So how do we handle someone like that at the Heart Hospital? Well, the answer is, we hired him. We think that he's going to be great for the Hybrid III and he's going to bring a whole skillset to the table. So he's coming on board with us and he'll sit right next to me and we've already had a good collaboration for the last two weeks. He just started. The other thing though is learning from masters like the man to my left. Dr. Damiano has really perfected this minimal access or minimally invasive right chest procedure and it's safe. It's the full maze and it's using the most powerful ablation tools we have to make these lines. I think that it is something we definitely want to have on the table at Norfolk and we're planning to do that. The other part that was the real win with our hybrid experience was this idea of the Heart Team Model, and that I really think is the future because it focuses the strengths of multiple specialists all working together for the same goal of trying to do the right thing for the patient and bringing all the options to the patient. [00:48:00] The biggest thing that it did was it allowed us to collect data on our outcomes. How were we doing? Where were the complications? This was really incredibly helpful because it allowed us to begin to tailor what we were offering to different patients based on best practice design. I want to talk a little bit about this, The Heart Team Model and getting patients to expert centers. The story I'm going to tell, and Mellanie's heard this before, but it has to do with this transplant. I do love arrhythmia surgery but I also do a ton of complex vascular and artery constructions and I love heart failure. In fact, I'm late to this meeting because we were doing a transplant last night and it just is one of these things where when I get older, I will probably stop because it's a young man's game. But it's definitely something I love but good Lord, does it have drama associated with it. So let me tell you this story. So we're doing this transplant and I've cut the heart out of a person. Now that's a bizarre thing. I mean, as many years as I have done it, it's still bizarre. [00:49:00] They're right below you, you're looking down to this cavity, the cuts are there for you to start sewing the new heart in, but when the new heart hasn't arrived, it's anxiety-provoking. You're just staring at it. You keep piddling with instruments and suture because you're ready to go. So my partner comes into the room and he kicks the cooler with the heart across the floor and goes, "Here it is. Have fun. It's an appropriate match." He takes the blood type and he slaps it on the side of the cooler. So the team opens the cooler. Now remember, the hearts are almost frozen. They're not completely at zero but they're very, very, very cold. So as soon as the heart is exposed, it starts thawing out. And this was a heart that we got in our own center which meant it didn't have time to really get super-cold in the cooler on the way down. Believe it or not, the ones that are right there that don't have a long time sometimes can do worse. So they go, "We can't hand you this heart, Dr. Philpott. The coordinator is not here." Well, there's this brand new coordinator and she was having trouble going from one part of the hospital to another. I, you know, "You got to be kidding me. For crying out loud, give me the heart. We've got to sew this thing in." [00:50:00] There it is in the bag and it's kind of getting warmer and warmer and my stress level is starting to get a little higher and higher and they still won't hand me the heart. So I said, "You know, this is that thing that went down at Duke where they put the wrong heart in the person." So they're not going to hand it to me unless I break scrub and go get it. So I did and as I'm coming back with the heart, one of the team members said something and I thought I handled it really professionally at the time. [laughter] I think all surgeons probably have a trigger point, Ralph, wouldn't you agree to that? I don't remember all the words that were said, but apparently other people did. I was still pretty hot about it the next morning, even when I was sitting in the administrator's office trying to explain what the deal was. And you've all seen Charlie Brown, right? You remember like when the parents would talk and it would be kind of like, "blah, blah, blah," you could never hear what they were saying, right? So as we're sitting there and I'm getting madder and madder, telling the story. [00:51:00] The patient, by the way, did great. I mean, he did fantastic because I did grab the heart and sewed it right in. 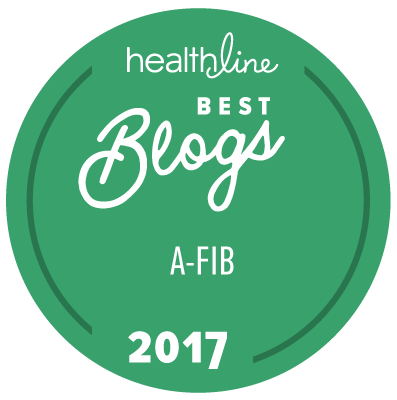 Of all things, I went into afib and I knew exactly what it was. I mean, she's sitting there talking but she's in Charlie Brown mode. I don't remember a word she said. I went over and I started taking my pulse, I'm like, that's about 150 if I'm counting it correctly. And I'm trying to look at my iPhone to time it all out. I said, I wasn't dizzy or anything like that, but it was kind of cool at first. I was like, so this is what they're talking about. I get it now. You know and yeah, it is really fast and it's jumping all over the place and the more I'm thinking about this, it is fairly anxiety-provoking. There's some of my dashboard that I have internally that you may not have, but I could get the sensation in the center of my chest of fullness and that had to be the left atrium and just the fact that it wasn't, probably filling a little differently. It was a fascinating thing until I started thinking about this [how long does it take for a clot to form?] Now that changed. [00:52:00] My dashboard is a little different because this is what I was seeing. How long does it take for that guy to happen? Now here I am, I put a lot of work into becoming as good as I am right now. We all have, all cardiac surgeons have. It's about 29 years professional work. And as I'm sitting there, I'm thinking, all it's going to take is one little piece to break off and kaboom, it's all gone. But you know, I'm not just a doctor. I'm a dad. I've got a family. I've got a beautiful wife. I sat there in that chair and I started thinking, my God what if I couldn't talk to them? Or how would it be if I had a huge limp and I couldn't do all of the things I love doing with them? This is what I was thinking about. It doesn't take much. And it's Russian roulette. If it goes to your toe, great. If it goes to a little part in your brain, you're in big trouble. So the idea of a stroke I found to be very unnerving and then, this is right...it did break, by the way, so...but before it broke, this is where I really kind of hit the wall. [00:53:00] Who would I trust to do my ablation? Now I'm a cardiac surgeon. I don't know a lot of electrophysiologists. I know mine. I'd let Haissaguerre do it. I know what his data is, I kind of trust him. But then I asked this question and this one was even worse. Who would I trust to do my maze? There is one person who I would allow to do my maze and he's sitting to the left of me. Now, I've got great partners. I don't know if I would let them do my maze. I don't know if they would be complete about it. And I realized that my questions were the same ones you all have been dealing with. Who do you trust? How can you find them? How can you find the real deal and when you find them, you should get straight answers to this question, what is the real answer to your success? And no BS, what are the risks? What are my options, without any bias? [00:54:00] These are my four guys. They're all great guys. They're fast, they do a lot of work. I have no idea what their success rates are and neither do they really. The bottom line is, here I am, I'm in the inner circle of experts on afib and I've got no clue who to go to. Guys, this is a huge problem for both of us. So, what would I want personally? This is what I'd want. I want it to be just like TAVR, just like those aortic valves. I want to go to a Heart Team where all the physicians are incentivized just for one thing, doing the right thing for me. While I'm there, I want them to look at all the options and have a very high confidence that their numbers are not propped up, that they're not shoddy numbers. That they're really hard numbers. That the center is very transparent about that and honest. [00:55:00] And I don't want to go see a dabbler, no dabblers. You cannot go see a dabbler with this. You've got to go see a pro. High volume. The reality is far from this dream that I have. Without this team, frequently each doctor wants to use their hammer and there's mass confusion. There's this problem with power and success that just gets into the subconsciousness of many providers. And frankly there's ignorance. Ignorance doesn't mean stupidity. It just means lack of knowledge, but there's a lack of knowledge amongst many physicians who are treating afib because they don't know all the options. In fact, the vast majority of them don't know the first thing about them. To make matters worse is the Internet. The Internet is absolutely full of very confusing success reports and different treatments and frankly a bunch of charlatans that are out there trying to build a small program. And that's generated circles of mistrust. [00:56:00] Many surgeons don't trust the maze or catheter ablations. EPs definitely don't trust the maze and frankly they really shouldn't because for the vast majority of our colleagues, they haven't done it correctly, so that's our problem. General cardiologists crack me up because half the time they don't care and the other half the time, they don't trust either one of us. And patients ironically, well, they trust just about every doctor they talk to. I can't help but see the irony in this picture. I envision you on one side and the person you really need to get to on the other. And our system has made it nothing but a nightmare to try to get the people who need to get to the experts to the real-deal experts. So at a training meeting of all things out in Napa, California over a couple of bottles of wine, all the hybrid ablaters were all there and we started sharing similar stories. We came up with this idea that maybe we needed to try to leave some bread crumbs for patients to try to get to the high-volume centers. We talked to Mellanie about it and she thought it was a very good idea. [00:57:00] So we came up with this idea and this is the first one out of the gate, but there should be other alliances. But this is the National Alliance of Integrated AF Centers, and we just got this off the ground, so it's brand new. And it has lots of problems in it because we set the bar so high that even getting the initial member centers in there to hit the bar has been tough. So there's like a three-year window where you've got to prove that you can hit these marks or you're out. But basically these are regional go-to sites and they have these common mission goals of being patient-centric, using a Heart Team with a multidisciplinary approach, you get all the options. It's got to develop this idea of credibility and trust. Otherwise we just missed the mark and we really wanted to lead, but this is the tough part. We've developed a database which we're beta testing now and this is going to include any ablations. Catheter ablations, surgical ablations. [00:58:00] If you have an ablation and you're in the alliance, then the data's going to go into this and it's going to compare you straight up, head to head. That is going to be incredibly important. The centers have got to be involved in research, best practices. We want to meet semi-annually and it's got to be easy to get to on the web, but it's the data that's key. So here's the vision. In the beta testing process, we've already started looking at this in Norfolk. And this has been fascinating because we're learning tremendous amounts already. Now, remember, we don't have the five box on board yet, nor do we have Dr. Damiano's procedure here, the minimally invasive one. But we had everything else and we snapshotted data so that we could start looking at it. The question we're trying to answer is this, here we are, we're in Norfolk. Let's look at persistent afib, at what works in our hands. Now we don't have two, five, ten years success rates, but we do have one. And frequently we will have two. We do have the complications, we do have the length of stays, and we do have the hospital costs. That data has been fascinating. It's been really fascinating looking on the catheter ablation side. [00:59:00] Now we haven't gotten to our problems yet on the surgery side because we're all over the map. But on the catheter ablation side, it was very interesting looking at the four guys and the other two that also do ablations on the side to see how their perceived ideas about what was working didn't exactly match when we showed them the data. There's a pattern that you can see there where they've got some guys in the middle in terms of success, you've got one guy who is incredibly good. We have no idea who he is because it's all blinded. And then you got a couple that are not as good. Well, this kind of data allows you now as a team to sit down and say, wait a minute. This guy is using all these expensive pieces of equipment and he's got terrible success rates. Whereas this guy over here has got great success rates at a fraction of the cost. Let's go figure out what he's doing. Then let's go back to the other guys and train them up. This is the kind of power this kind of integrated approach suddenly gives you as a system. [01:00:00] Now I really believe that this outcome data is going to be the cure-all for a lot of afib. It's going to dispel all these myths and it's going to guide not only the patients, but it's going to guide the centers about the best thing to do. The other key is that patients, and you guys know this clearly, I mean, we want the right data. We don't want Haissaguerre's and we don't want Cox's. We want the doctor that's going to be doing our procedure. Center-specific, actual outcome data relevant to our types of afib. So if you're a 54 year-old female, you've got long-standing persistent, you've had multiple prior catheter ablations, and your atrium is 4.5, if we set this up and it goes national and other centers get behind this, this is the kind of report card you ought to get. Individualized for you. Now it's not going to happen in the next year, it's probably not going to happen in the next five. But hopefully in the next 10 years, this kind of data reporting is going to guide people to what they really ought to get. So early on, this was the vision that we're trying to lead with. You know, afib occurs. [01:01:00] You go to a national website, hopefully a good website like StopAfib.org that you can trust. This brings you to NAIAC or you just find NAIAC on your own. Or another organization. It doesn't have to be NAIAC. Just something that is trying to get the best practice groups that are leading in research together. Now just to give you an idea of what we were able to do. This is the NAIAC site. If you click over on the integrated centers, all five of the initial sites are up. And then if you click on that, then it gets you to us, or to the center in your group that you want to check out. There's the contact form that if you click on, suddenly gets you into the clinic where you ought to be talking to a team. But guys, this is easy to figure out. If you go to a place or you see and you're just talking to one person, you're not in the right spot. Okay? It's really going to be that easy and they ought to be able to show you a report card. Not tell you, "Oh yeah, our results are 90%." Mm-hm. [01:02:00] It ought to be down on paper or preferably what it really should be is published. Because at the end of the day, this is kind of what you deserve. All right. So I also have the honor of giving Dr. Edgerton's talk and our prayers are with Dr. Edgerton. He fortunately was able to go over his slides with me and I'm going to do the best job I can. I think this is a very good talk. I'll go through the first section maybe a little quickly because we've really kind of covered it. [01:03:00] But Jimmy does a very good job at the end with a couple of scenarios that I think you'll find interesting and maybe we can solve them together. The last part of this talk is going to be audience participation. Again you already know this, afib increases the stroke rate three to five times, the death rate is probably a two-fold increase. The longer a patient is in afib, the more difficult it is to treat and eliminate the rhythm. It's classified a couple of different ways. This is one way of looking at it, which is the HRS definition of paroxysmal persistent or long-standing persistent. But the other way you could look at it is divided into lone afib or concomitant afib. As Dr. Damiano has already said, the concomitant afib side of the story is something that we surgeons have got to take this bull by the horn on and lead and make people start getting up to very high intervention rates. I mean, the newest data is showing much less complications if you go ahead and do this procedure [01:04:00] correctly. So the onus is on us surgeons. For you as patients, again if you're going to see a surgeon and he doesn’t know what he's doing with the maze procedure and if you have the time to make the...if you don't have the time, it's critical and it's life-threatening then you just need to go ahead and get operated on, but if you do have time, it would probably behoove you to seek out a surgeon that knows exactly what they're doing with the maze procedure and get your concomitant surgery there. The way I kind of like to think about afib though is paroxysmal versus everything else. So either they are paroxysmal, which is trigger-based or they are non-paroxysmal, which is probably multi-factorial and rotor-based. Notice that chronic afib is not a medical term used anymore because it really doesn't have a medical definition. So the regular contraction of the upper chambers are followed by the lowers after a little short pause and you get this Lub Dub. The electrical wave spreads rapidly throughout the atrium and then all the atrial muscle fibers contract simultaneously. [01:05:00] After the atrial muscle contracts, it's silent for the next couple of electrical waves and then the atrial electrical wave stimulates the AV node. The AV node has a short delay and then triggers the lower chambers of the heart. And that's the Lub Dub. Now in atrial fibrillation, you have these multiple circular circuits and the atria end up quivering without any effective mechanical contraction. There's no good pumping action and so you have this decreased cardiac output. The AV node, when you're in atrial fibrillation, is utterly pummeled by this gigantic number of electrical waves that are hitting it. That's why it's irregularly irregular. You know, it has this short pause and it's trying to process as many of these beat orders, so to speak, as it can, but it just can't keep up and that's the reason why it's so irregular. Less blood is pumped through the heart and with the stasis of blood [01:06:00] in the atria, that's where the clots can form. Again if something does form, it's just kind of Russian roulette in terms of where it goes. It can cause a stroke, a blue toe, dead gut. Key points to remember, the electricity spreads from cell to cell. It's not like something that's in a voltage wire. It's very much the depolarization and the membrane of one cell touching another cell, triggering it to depolarize. Almost like a fire that's moving or rows of dominoes that begin to fall. And the electricity cannot cross a scar. So if you set up a series of scars, then you can direct the flow of the electricity just like the maze procedure in the Sunday paper. Problems? Well, the biggest one that Jimmy likes to talk about is this feeling of impending doom. That may be a little much, but definitely you just don't feel well. You really just don't feel like yourself. Palpitations, fluttering in the chest, lethargy, fatigue, feeling washed out – that's probably one of the ones we hear the most. [01:07:00] An inability to do much with any exertion. This frequently is out of proportion to the activity that is being performed. And again it's probably related to the decreased amount of blood that's flowing. Stroke we've already talked about, but this again is one that is interesting to me. And this is one of the reasons why I got interested in arrhythmia surgery. I would see lots of folks that had afib and some folks can tolerate afib and others flat can't. Their hearts suddenly become very weak. So treatment options. Well, first there's cardioversion, which can be pharmacological or electrical. Rate control and anticoagulation, where the heart is slowed so that there's more time for adequate filling of the lower chambers and you prevent stroke from blood clots from the anticoagulation. I would just say the Cox Maze, either III or IV. Probably IV. Open chest procedure. I think he's got eight points down here. Now this again is in my mind [01:08:00] still the gold standard. Jimmy describes this as a big operation but I don't completely agree with that. I describe a big operation as one that has a complication. Or one that you really struggle to get through. If I do a three vessel bypass or a mitral valve repair, it's usually two and a half hours or so, Ralph, wouldn't you say? Something like that? A maze procedure is less, guys. It's quick in experienced hands. It does involve opening the breastbone, but people tend to tolerate that actually much better than they had thought. So here's Dr. Edgerton's description of how these rotors...and they're illustrated by the circles on the diagram that you can see here...that these circles are just spinning around and churning inside the heart. There's usually multiple ones, like four or five of them. And if you just go to where the pulmonary veins are, which are right here, and isolate them, that's great. You've taken the triggers out of the problem, but you haven't solved [01:09:00] anything else. This is why pulmonary vein isolation alone just traditionally has not done a very good job with persistent or long-standing persistent afib. In other words, non-paroxysmal afib. In other words, non-trigger-based afib. Whereas if you are able to put in this ablation lines, then you can break up these potential circuits and have a better success rate. Then there's catheter ablation and that includes AV node ablation and a pacemaker, which is my least favorite and I think all the electrophysiologists would probably agree with me there in pulmonary vein isolation. Now when I first saw this slide, I just kind of would freak out a little bit because it just had too much going on, but don't let it. This is from Haissaguerre's initial work and I think this was the one that was in the paper. This is the heart, kind of schematically drawn out, and let your eyes follow to where the red dots are. Just kind of step back for a second and let your eyes go to the red dots. You can see there's none in the septum, there's a couple out here on the right atrium, about 10% actually. And there, 90% of them are in the pulmonary vein. [01:10:00] So naturally if you can isolate those pulmonary veins, if you can draw an electrical dam around the pulmonary veins, then you should be able to treat paroxysmal atrial fibrillation very effectively. So this is pulmonary vein isolation. We've spent tremendous amount of time on this already so I'm going to move a little quickly through here. This is a schematic of a heart diagram showing perfectly placed lines which frankly, guys, I got to tell you, catheter ablation and getting these things to line up this beautifully is incredibly difficult. And I think the same thing applies to thorascopic complete mazes. There are artists, many of them were in this room earlier, that can do it and then there's the masses that cannot get these dots to line up nearly remotely closely. It's incredibly difficult to do. And there are some people that can do it and others that really struggle with it. [01:11:00] When we look at the success rates of paroxysmal versus persistent afib after a catheter ablation at a longer term, in the early period it looks pretty good but long-term you can see the difference. Paroxysmal does much better than persistent or long-standing persistent atrial fibrillation. Again it's because we really need these additional lines, other than just pulmonary vein isolation, which are accomplished here. That brings us to the closed-chest maze, which I've already spoken about so I'm going to move a little quickly here but this is the evolution. In 2004, Dr. Edgerton, and this is actually Dr. Mike Mack who's standing right next to him here, went and spent time with Dr. Wolf and learned how to do the pulmonary vein isolations thorascopically. But then again for persistent, we needed more lesions and for the closed-chest procedure, that meant something like this. And this is the first iteration of the Dallas lesion set, where you can see they've drawn an additional line up to the aortic valve here to stop a flutter wave that can circle around the aortic valve and the mitral valve. [01:12:00] This is the Dallas lesion set, completed. This is also the identical five-box lesion set, which Dr. Sirak performed. With closed-chest, there is endoscopic visualization, pulmonary vein isolations are carried out, the left atrial appendage is excluded and that, by the way, may be one of the best things about any of these thorascopic procedures, is that the left atrial appendage is gone. So even if you fail it and you go back into afib, you have a dramatic protection now that that appendage is out of the way. He has a couple of photographs showing here, this is the same set of port placements that we use in Norfolk. This is the left side and now this is detailing how we've gone through the initial hybrid, the first evolution of the hybrid followed by the staged hybrid. [01:13:00] So this is where we're going to move into what do we do for what? Now remember for surgeons and electrophysiologists, we really need to be focusing on the risk-benefit ratio. In other words, doing the safest, most efficacious thing for the right patient, depending on their needs. So for someone who really has never had any trouble with their atrial fibrillation, is doing beautifully with it, they're going to get one set of options. For someone who is having life-threatening complications from it, they're going to get another set of options that may be more risky but they also match the indications for that person's atrial fibrillation. Let's go through these kind of one-by-one. This is the first one, and again I invite you to jump up in the audience if you want to. We'll just kind of make this fun, if you will. First one's a 78 year-old woman. Now she has long-standing persistent atrial fibrillation and she's had it for 13 years. She’s on digoxin, she's on a beta blocker and she's on warfarin and she really doesn't have any symptoms. [01:14:00] She has no history of any complications. Her primary care physician though has referred her over for consideration of options because he's worried about her stroke risk. So what would you do here? Who would send her for a catheter ablation? Raise your hands. Nobody. Who would send her for surgery? Nobody. This lady is doing beautifully just the way she is. She needs to be left alone. Nobody needs to be doing anything to her. All right, so that was the lay-up. They're going to get a little harder. Now I didn't come up with these. This is all Dr. Edgerton. He assures me that they're not actual, but they do have different elements that are actual. So this is a 38 year-old man. He's a marathon runner. His first episode of afib was 18 months ago. Now he's really symptomatic with this. He has episodes three times a week; they last three to eighteen hours, less if he doesn't run. He's failed sotalol, he's failed a catheter ablation, and he doesn't believe in taking drugs. [01:15:00] Now he's on amiodarone and he has an episode about twice a week and they last two to twelve hours. He hates them. They leave him drained. He can't sleep for days after he has one. He's told us his EP told him to quit running. That part unfortunately is true. And to have another catheter ablation. Now he's angry and he's come over for a second opinion, to see what you have to offer for him. Now what do we think about this gentleman? Audience: He needs some help. Dr. Philpott: He needs some help. Now is he life-threatening? Not like I'm thinking. I'm thinking life-threatening like he's got a clot in his appendage or his heart has tanked and he's in congestive heart failure, but his life is a mess. His quality of life has been completely blown up by his afib. [01:16:00] What kind of afib does he have? He's persistent, clear cut. Now remember if you have an intervention, let's say you're paroxysmal and you go in, you have a catheter ablation...or let's say you're persistent, you go and have a catheter ablation, and now you just have afib every now and then. Are you paroxysmal? No, you're persistent. So he's persistent. So is there a decent chance that pulmonary vein isolation is going to have a dramatic, a redo pulmonary vein isolation is going to have a dramatic improvement? It may have some effect, but maybe not as much as we would hope. So what are our other options for him? He is a candidate for a mini maze or a hybrid maze. Any other options? He is a candidate for an open, if he wanted it. And again this is where you'd would sit down with him and you give him all the options. [01:17:00] And it's pretty amazing to me with the clinic model where we do this because I'll frequently, both of us, me and the electrophysiologist will go in the room and we'll give him all the options and we're sure they're going to go one way and they surprise us and go another. Ralph, what do you think? What would you do at Wash. U? Dr. Damiano: First I'd just like to correct everybody because I thought I made the point, but we're still confused now because first of all, a mini maze is not a maze, if the way I think you're trying to refer to it, if you're talking about surgical pulmonary vein isolation, that's what we should say. As far as I know, no one's ever done an off-pump thoracoscopic maze to this date and I know everybody in the world. People have done ablation procedures thoracoscopically but it's wrong to call them a maze and I think confusing for the audience still. So I would absolutely challenge the terminology here. Unless they're contraindicated we don't do mazes through sternotomies and haven't for many years. So I don't think that's a difference. [01:18:00] So if you're talking about a hybrid left atrial ablation which are most of the...or, you know, here are the choices for this guy, are another second catheter ablation, and if Dr. Natale was here, I think he would favor that in a young guy if he had a small atrium. You could argue and depending, I agree with what you said completely, it depends on who you're seeing and what their successes are with the individual procedures. Dr. Philpott: At Wash. U, what do you think he would get? Dr. Damiano: Well, since he's had afib for...we would offer him an option of either a thoracoscopic procedure of a left atrial procedure or minimally invasive, but when I say minimally invasive maze, I mean a full maze. It's depending on your results. [01:19:00] I would tend to agree with Dr. Natale that, at least in our initial, we don't have as big experience as you guys have with hybrids, but our feeling is that the complication rate with hybrids were higher than either catheter ablation alone or less invasive maze procedures alone. The fact that he's already failed a catheter ablation, we probably would not consider him for a hybrid and would probably recommend either some type of a surgical ablation. Usually someone like this, if he had his catheter ablation from outside, it depends on who did it. Like you said, I think it's a team approach. So we would let the electrophysiologist also see him and see what he thinks. And then I think it's your own success rate. I mean, this is a guy with a heck a lot of his life, he's only 38, really doesn't want to be on drugs. If you're going to go to surgery, at least it's been our approach to go with the one operation that we know has the highest success. [01:20:00] Knowing that it's difficult...certainly if you do a thoracoscopic procedure first, then you can't do the minimally invasive maze as a follow-up. You have to go through a sternotomy because of all the scar tissue. So we'd let the patient make a choice. My own favoring...obviously as you said, everyone has their own hammer...but we'd probably favor, a guy like this, the minimally invasive maze procedure. In two weeks, they can go back to full activity and the success rates have been good in this population, depending on various different things. But I can't say that I would be adverse, depending on different episodes, different factors. We certainly would let him talk to an electrophysiologist too about, like you said, it's a team approach. Dr. Philpott: Okay. Any other thoughts on this one? All very good points. [01:21:00] All right, we're going to escalate it a little bit. This one's a little harder. 58 year-old man, unemployed for four years, now he has a job. So right off the bat, guys, we got to do something for him that's going to keep him employed. His first afib episode was four years ago. He's now long-standing persistent. On his monitor, his heart rate is 120. Now that's a problem. So this guy doesn't have rate control. He's in the risk of having bigger complications. He's failed sotalol, he's failed an initial catheter ablation, he's on amiodarone, and he only has episodes of two hours to twelve hours twice a week. These are frequently very symptomatic. These are a little worse than, "I'm just feeling bad." This is, "I feel like I'm going to pass out." The other important history point here is he's had an infection, an empyema, in fact, of his left chest that was drained 12 years ago. He is a smoker with mild COPD. Oh and yes, on his echocardiogram, his ejection fraction is 35%. Remember, normal is 60%. [01:22:00] So the afib and the rate at 120 has knocked his heart down. Okay. Take a shot at it, guys. You get to play doctor. What are you going to do for him? Dr. Philpott: Who's going to try a catheter ablation on this one? You could think about it. But with him, I don't feel that great about a catheter ablation. I mean, this has gotten very serious. He's going to be in congestive heart failure if you don't get this taken care of. You need to nip this one in the bud. And that thing about the chest infection. All right, that's actually really critical because that means the left chest is fused. Hybrid is out. What about right chest, minimally invasive, full maze? That's an option. That's a very good option. And in Norfolk, we would also offer obviously the open maze. I think once we learn the right maze, we'll probably stop offering that. [01:23:00] Dr. Damiano: Yeah, this is a very tough patient. Dr. Philpott: The final one is, how about an AV node ablation and a pacemaker? So any ideas, guys? Who thinks that this guy should get a catheter ablation? Raise your hand. How about a hybrid maze? Obviously that one's not on docket. How about the right chest minimally invasive full maze? Here's a couple hands. Nobody else? You all are all afraid to put your nickel down. How about an AV node ablation? All right, the problem with the AV node ablation is that it's not the greatest long-term thing and he's pretty young, he's 58. The problem that can happen with an AV node ablation is they can get their own cardiomyopathy, along with other things. But it's an option. Ralph, what do you think of this one? Dr. Damiano: Well, I mean this is a tough case. I would definitely, you know, if he was 78, the AV node ablation is a good idea. There may be some people who have had AV node ablations. [01:24:00] The problem, the younger you are is, one, you're pacemaker-dependent for the rest of your life, which is not the greatest thing. Especially at 58, if he lives another 30 years, likely to have some major complications from his pacemaker leads. But you know, maybe not and certainly better than where he is. It often does treat the afib-induced cardiomyopathy but you're right, you can get your own cardiomyopathy occasionally. It's rare. And also you're on Coumadin for the rest of your life or one of the other anticoagulants. Now we probably would use one of the new drugs which you heard about earlier today. With the chest fused, we would favor...this guy also has long-standing persistent afib for years with a poor ejection fraction, we would favor probably the maze procedure through the right chest. [01:25:00] I mean, that wouldn't be a problem. I think you have to be careful with this. I think perhaps in some centers, they might favor a right chest sort of box isolation. One of the problems which we really didn't talk about is that when you're on by the heart lung machine, all the ablation devices work great. The problem is off the heart lung machine, the ablation devices...the clamps work great but all the others have big problems, so it's hard to complete the lesion set. But there's been advances as, Jonathan, you know in this, but we would probably tend in this guy, who still has a lot of his life ahead of him, to go in, manage his appendage, and take care of his afib. Because you know, as you said, the stakes are pretty high. [01:26:00] He's already developed...we assume that he doesn't have coronary disease or any reason for a poor ejection fraction. Dr. Philpott: No, that would make it pretty easy. Dr. Damiano: Probably like it's tachycardia-induced cardiomyopathy. You know, I've been referred patients who were on heart transplant waiting lists for heart transplant with afib and all we did was a maze and those patients get back, usually takes about just a few months for the heart to recover. Dr. Philpott: All right. That's a good case. We'd be aggressive about this one in Norfolk. Okay. Last case. This one's interesting. 68 year-old man, he's a psychologist in family counseling. He has a daughter who's an EP nurse. That may be a little clue. His first episode of afib was 15 years ago. He has episodic afib with general good rate control, I think Dr. Edgerton wanted to say there. [01:27:00] He's been on and off of most drugs. He's now on a new one that he can't remember the name of it. He was afib-free for four years since his first catheter ablation twelve years ago. Second catheter ablation changed him from continuous to episodic and improved it for two years. But now when he's in afib, he just feels awful. On echocardiogram, he has some left ventricular hypertrophy, which is a little thickness of the muscle wall. The left atrium is 5.4 cm. So that's a bit enlarged. That's a good bit of enlargement. The electrophysiologist wants to do a third catheter ablation, but the electrophysiologist sends him to a surgeon just to get everyone's opinion. Now that rarely happens, but that means you've got an electrophysiologist who is thinking about good options. So he wants to be collaborative and that's good. His daughter is very suspicious of surgery. She says those surgeons don't know how to do a maze and unfortunately she's correct about many of them. She says, "I want all the doctors working together." So what's the answer on this one? What do you guys think? [01:28:00] Who would do a third catheter ablation? Not too many. Oh, a couple. Okay. How about a hybrid procedure in him? Okay. A few more. Obviously that's probably the way this one is written to go. Sole surgical therapies, like our minimal access full maze procedure from the right chest or an open procedure, probably going to be a little bit too much for this one. So this one was designed to look at the hybrid approach obviously. This is the final slide. Dr. Edgerton always likes to end with this one. This is the bridge over the river Kwai. Apparently there's two bridges. One of them is made of bamboo. This is the other one. I think they bombed, they bombed the bamboo one, right? Well, they bombed this one, too. And you can see the center section, it's been rebuilt there? The take-home message with this is that, these lines in some folks for some reason, they can heal them, every now and then. Craig: How is the mechanism of forming that line of lesions in your procedure technically different from the catheter technique? Do you use a radio frequency probe and is the difference just that you can lay down a strip, carpet-bomb that line compared to the poke and prod of the catheter base? Because your results are a lot better. Dr. Damiano: Yeah, well, let me tell you the difference. That's an excellent question. I didn't really have the time to get into it, but...so we use different devices that you really can't use in the EP lab. First of all, we have a really excellent environment. You can imagine, first we can see everything. [01:30:00] So they're just looking at an X-ray, which can be...I mean, you've had some of the best electrophysiologists in the world here today and they are very, very good and they get better and there's all types of...I mean, the field is changing rapidly and to be honest with you, if I had paroxysmal afib, I would definitely go for a catheter ablation first, not to surgery. I think they've gotten a lot better. I probably wouldn't have said that 10 years ago, but they've gotten a lot better and you saw some of the advances today that are amazing. Now the one advantage you have at surgery and that's why I think it's a shame...like, if you were coming for a mitral valve repair and had afib, make sure you get taken care of because it's your one perfect chance. First of all, we can see what we're doing. So that's a huge advantage. The other thing is if you're on the heart lung machine, which you are for a valve surgery, there's no blood in the heart. So that gets in the way and can be a problem with both. It's the reason why people have strokes after catheter ablation and also why catheter ablation sometimes, even some of the stuff that Jonathan was talking about, off pump procedure thoracoscopic, don't work. It's even worse in that situation because the circulating blood keeps you from penetrating. [01:31:00] So we've studied, so what we can use in the operating room, two things that are really fantastic. One are clamps. So you can imagine because we can see and we can go on both sides, in and out, we just take a clamp and in the jaws of the cramp are embedded the electrodes. So instead of just trying to burn through where...you know, you don't have any idea really when you've gotten all the way through, that's the problem with a catheter. They can burn, but how do you know it's complete? You don't. Craig: Your clamps are bipolar? Dr. Damiano: They're bipolar. So the clamp has two electrodes in the jaw and you just give electricity between it. It's like a branding iron. By measuring the impedance of the electrical signal or the conductance between the two electrodes, you can really tell when it's transmural. We were the lab that documented that for all ablations, for the bipolar clamps that are presently on the market. And they work. Certainly in ideal situations, they work close to 100% of the time. So it's a fantastic ablation device. [01:32:00] The other thing that we have in surgery that a lot of surgeons use are these, like, the cryoballoons. But the advantage in surgery is you can see where you are going and you can really see these cryoprobes stick on the heart and we have longer cryoprobes that can do really good ablation. So it's just an ideal ablation environment and that's why I think it's better, because we create scars and we can make sure...you heard that they have problems with durable pulmonary vein isolation. Well, we can see it. Still it's not to say that it's without any problems, but that's I think one of the reasons. It's the same type of technology in terms of energy, but different types of devices that make it more efficient. Craig: And then just a comment. I would argue that the reason you're seeing less surgery is the gatekeeper, is the person doing the catheter ablations. That would be my guess, given my field anyway. [01:33:00] Dr. Damiano: Yeah, I won't comment. I don't know. But I think, you know, a lot of my great friends are electrophysiologists. I think everyone's trying to do the best thing. I think it's true. I mean, I agree with what Jonathan says. You know, this idea of a team approach and to work closely together and do what's right for the patient. There's no question still that catheter ablation, all said, is less invasive still. But for some patients, it's not...it become much more invasive for those of you, you have a bunch of people who have had catheter ablation, it's no walk in the park. And if you have a few of them, that's pretty invasive. Your complication rate gets up pretty high. [01:34:00] Dr. Philpott: Well, let me jump in here because I do have an answer for that. We're really aggressive in Norfolk. When we have a failure, we go back to the lab. Because frequently there's one line that has a problem with that can be tuned up. The bigger problem is when people don't have afib, they have flutter. Now left atrial flutter after any intervention can be a disaster because it's iatrogenic, meaning we did it. We created a couple of lines of scar and there's a circuit that's spinning around them and tracking that down can be difficult. But it depends on how it affects you. If you can live through it and you're okay with it and your appendage is gone, so you're in a high safety profile versus the regular population of folks that are in afib. That's a good thing. If it's ruining your life and you are okay with the catheter ablation, I don't think it's wrong to think about that. We've had very good success rates with that in Norfolk. Frequently, I can't promise this, but in our own experience, I've been surprised because the electrophysiologist...now you've got to understand, electrophysiologists do not like treating flutter and I don't really blame them. [01:35:00] That means they're going to be in the lab for 10 hours, but they like this because frequently they can go in and in our short experience, they've been lucky in finding out where the break was.